The castle was mentioned for the first time in 1384 in a phrase Comitatus castri Strechyn, i.e. estates of the Castle of Strečno. Based on indirect written reports it can be assumed that the Castle already existed in the first half of the 14th century. It was to safeguard the toll collection at a ford through the Váh river. The oldest castle had the area of only 18x22 m. It comprised a rather small residential building, a water tank and a dominant watch tower with a defense function - the so-called bergfrit. 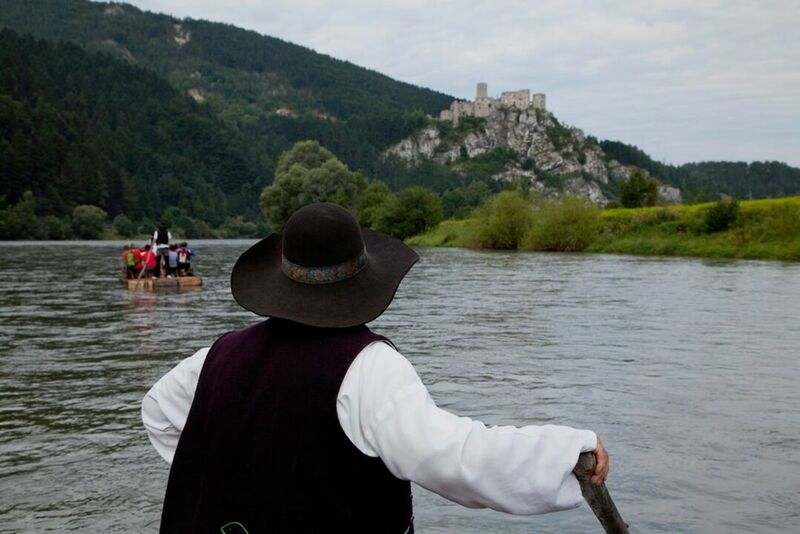 In the course of the centuries, the Castle was extended and altered several times, whereas it had the largest area in the 17th century when it reached the status of the castle with best fortifications in the region of Stredné Považie. At present it is the property of the Žilina Self-Governing Region and is administered by the Museum of Považie in Žilina (Považské múzeum v Žiline). 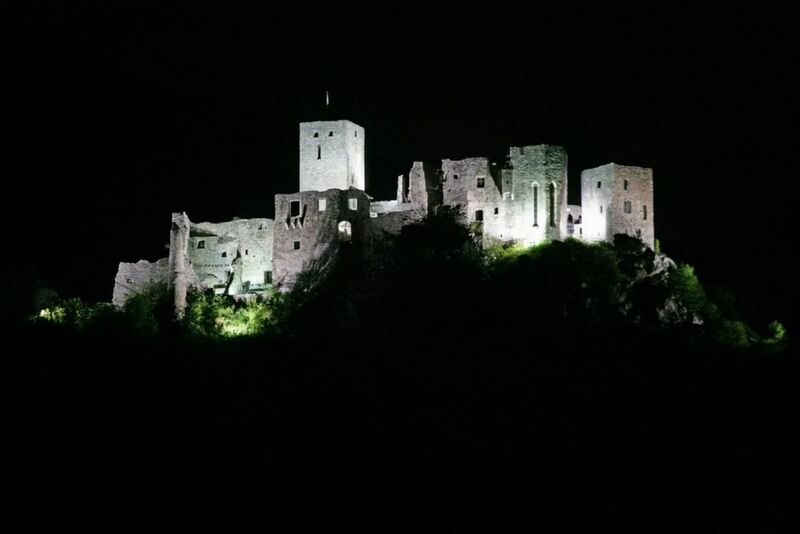 A story that is associated the most with the Castle of Strečno is the personal story of Žofia Bosniaková. Primarily, it is a story of her love for her husband, God and the poor. Intact remains of her body were found in the Castle crypt and transferred to the church in Teplička nad Váhom. In April 2009, they were subject to vandalism and destroyed. A replica of her mummy is located in the castle chapel. 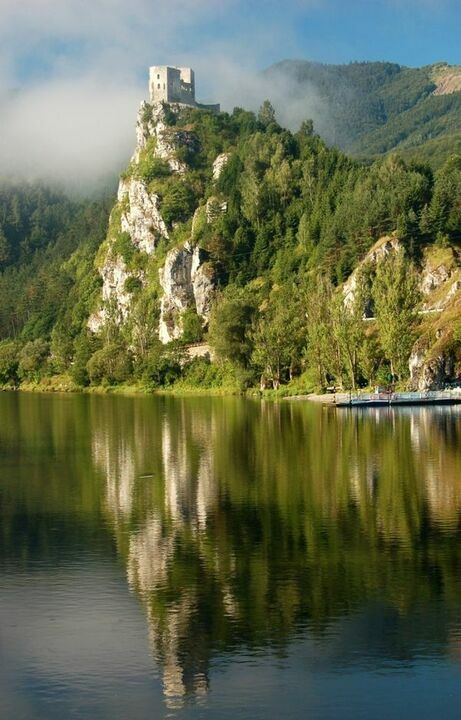 The Castle of Strečno is an indispensable part of the landscape scenery of the Malá Fatra mountains and the castle rock and the path above the Castle provide a beautiful view of the Strečiansky priesmyk mountain pass, Domašínsky meander and a great part of the Žilinská kotlina basin.